Lord, today we pray for the thousands impacted by the earthquakes in Anchorage, Alaska. These events caused fear and panic in the moment, but we are thankful to learn that there have been no casualties or severe injuries reported. We are also grateful that the earthquakes did not trigger a tsunami. Thank you for your protection. 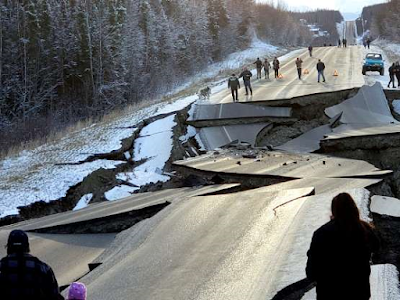 With Alaska’s geographic location, we know that earthquakes are common and there is potential for other events. We pray that any additional earthquakes are minimal in scale and non-destructive. Father, we ask that you provide the resources necessary to repair the infrastructure quickly. There was substantial damage to roadways, buildings, utilities, and personal property. We pray that there are no gas leaks in buildings and that there is no damage to the Alaska oil pipeline that would result in an oil spill. We pray in the name of Jesus, amen.